Since the arrival of oil crisis in 2014, UAE is continuously in effort to increase the level of non-oil sector in order to reduce its reliance on the unreliable future of oil and gas sector. Dubai remained a pioneer in this procedure as the emirate was already focusing on sectors like business and tourism due to low oil reserves. After the adoption of new strategy, the emirate of Dubai tried something different in non-oil sector and decided to introduce a knowledge based economy with high stress on modern technology and happiness of its citizens and residents. 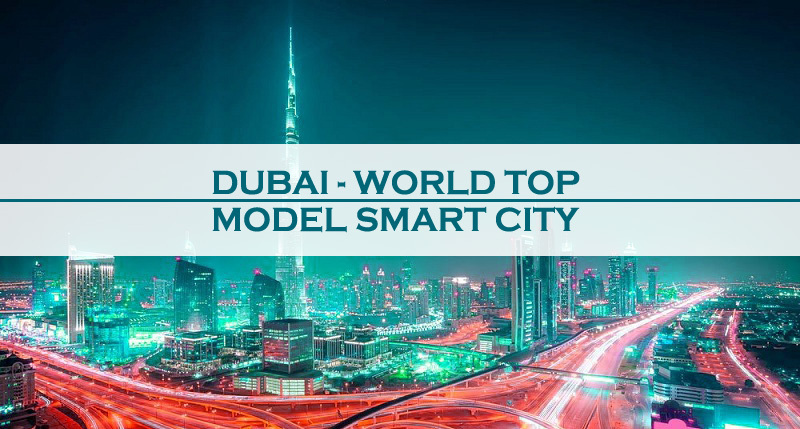 A latest report has confirmed the effectiveness of this strategy by Dubai as it is now being declared as one of the world’s 3 model smart cities. The visiting research fellow at the University of Sheffield, Mateja Kovacic, included Dubai in the list of 3 model smart cities in the world. The other two cities in the list are Singapore and Tokyo. She described the reason for the inclusion of Dubai in this list because Dubai is not only using robotics for running the system but the city is in fact using this modern technology for public services with the aim to make it the “happiest city on earth”. She was pointing towards the testing of automated ports, self-driving cars, delivery robots, social robots, drones and several other measures taken by the government of Dubai in recent past. She added that the government is trying to use robotics to achieve position on the politico-economic landscape on global level. According to experts, Dubai has the potential and ambition to become the world’s smartest city in future. For this purpose, important steps are taken by government agencies of Smart Dubai and Dubai Future Foundation. The projects that are expected to complete in near future include the world’s 3D-printing hub, the world’s first blockchain-powered government by 2020 and the efforts to get 25% of all cars in the city as driverless by 2025. It is the reason that Dubai is the smartest city in the region and has a respectable place in global rankings. The report clearly reveals that modern technology has an important place in the current economic strategy adopted by UAE and Dubai and there are lots of opportunities for tech companies and professionals related to this field in one of the model smart cities in the world. Dubai is already hosting tech giants and is ready to accommodate other big and small tech companies in the city. We at Riz & Mona Consultancy can fully assist all the willing tech companies in getting trade license in Dubai. Dear Riz & Mona, Great article for reading, Keep up the Good Work.